A new radiation treatment could lengthen the lives of those suffering from small-cell lung cancer. A NEW TREATMENT involving radiotherapy could see the lives of some lung cancer patients extended. The new treatment makes advances to treatment of small-cell lung cancer (SCLC) with thoracic (chest) radiation treatment. The treatment, when used alongside standard methods, has been found to prolong long-term survival and reduce recurrence by almost 50%. SCLC is an aggressive form of cancer and accounts for around 13% of all lung cancer cases. The majority of patients who present with the aggressive disease find that it has spread to other areas of the body. The study involved research on 498 adult patients who were already responding to chemotherapy. The subjects were taken from the Netherlands, the UK, Norway and Belgium. It was found that after two years 13% of patients treated with the thoracic radiotherapy treatment were alive compared to 3% of those given the standard follow up. In terms of redeveloping the cancer, only 20% of patients treated with the radiotherapy treatment saw the cancer come back, while 46% of those who did not receive the treatment saw a recurrence. Patients receiving the treatment did not experience toxic effects like fatigue or shortness of breath. The authors of the paper propose that should the thoracic radiotherapy be well tolerated it should be offered extensively to sufferers of SCLC whose cancer responds to chemotherapy. This new research was carried out in the VU University Medical Centre in Amsterdam, Netherlands. The study was published this week in The Lancet and is being presented simultaneously at American cancer awareness group ASTRO’s 2014 annual meeting in San Francisco. Email “New treatment could drop recurrence by half for some lung cancer sufferers ”. 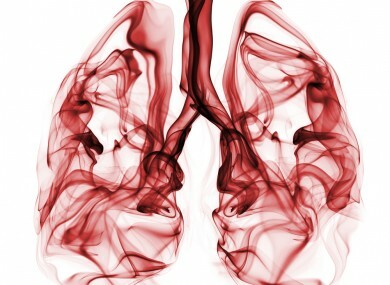 Feedback on “New treatment could drop recurrence by half for some lung cancer sufferers ”.